Nicklas Backstrom on WADA Appeal: "I Thought It Was Over"
Tuesday afternoon, The Hockey News reported that the World Anti-Doping Agency (WADA) appealed the decision made by the International Olympic Committee (IOC) and International Ice Hockey Federation (IIHF) to award Washington Capitals forward Nicklas Backstrom a silver medal at the 2014 Sochi Olympics. "I don't really have anything to say about it," Backstrom said after the Capitals' 4-2 victory against the Columbus Blue Jackets on Tuesday. "We'll see what happens. I thought it was over, but I guess not. I don't really think about it. We'll see what's going on." 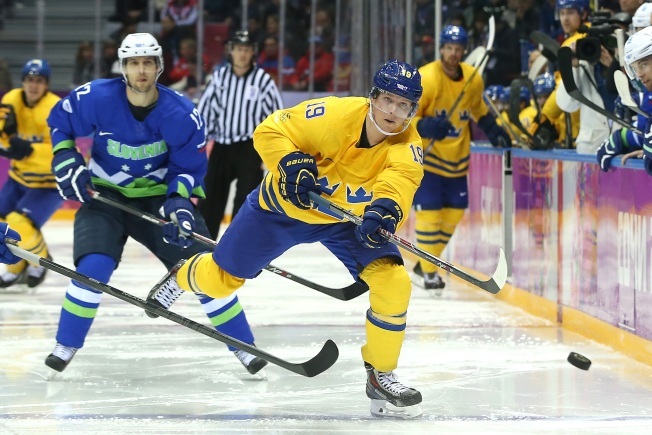 Backstrom was withheld from Sweden's 3-0 loss to Canada in the gold-medal game on Feb. 23 after testing positive for elevated levels of pseudoephedrine caused by Zyrtec-D, an allergy medication Backstrom has taken intermittently for several years. Pseudoephedrine is not a banned substance in the NHL. The IOC defended Backstrom's suspension, but ultimately exonerated him after ruling that Backstrom did not intend to enhance his performance, placing the blame on Sweden's team physician. Backstrom received his silver medal in late August. WADA would not say on what grounds it is appealing the ruling, nor would it speculate on whether a successful appeal would mean Backstrom would be once again stripped of the silver medal he received about a month after the Olympics. If the appeal succeeds, it would stand to reason Backstrom would lose his medal and be suspended from international competition. In any event, WADA is either not buying the notion that Backstrom was an innocent victim or believes athletes are responsible for what they put in their bodies regardless of the circumstances. The NHL is supporting Backstrom; deputy commissioner Bill Daly told TSN's Darren Dreger that "WADA is an organization that has clearly overgrown its original mandate and purpose. It's a travesty."